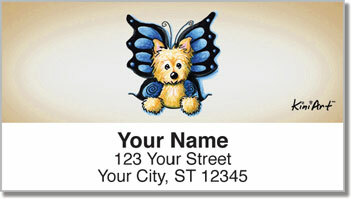 Everyone's favorite little dog from Wizard of Oz was, what else, a Cairn Terrier! 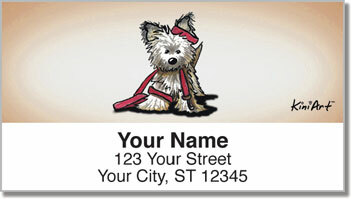 And learning a little more about this breed, it's easy to see why this fierce little creature was Dorothy's companion. They are an energetic, loyal little breed that originated in Scotland, named for the stones they used to make their quarry under. 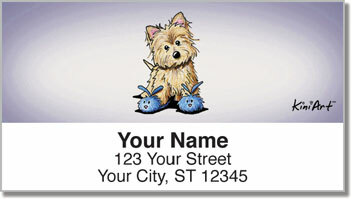 Now you can find them in a variety of adorable poses on these self-adhesive address labels. Not only do they make sending the mail more fun, they save your hand from writing cramp inducing return addresses. So get yours today and fall in love with these brave little guys. 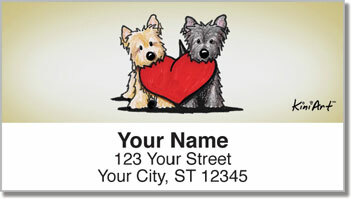 There's no place like home and there's no dog like the Cairn.